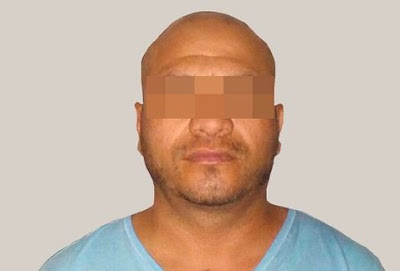 As a result of preventative actions and intelligence to combat criminality and guarantee the security of Morelenses, agents of the Criminal Investigations Unit of the Police (PIC) achieved the detention of the alleged plaza boss of Los Rojos in the town of Tlaquiltenango. On Wednesday night, elements of the PIC in conjunction with the South Region of the Attorney Generals Office put into effect an operation in the Gabriel Tetepa colonia, where they located and arrested David Ivan "N", alias "El Zavala", 42 years of age. At the moment of his capture, "El Zavala" was found to have a 9mm firearm in his possession with 3 spare magazines, 109 plastic bags with white powder inside with characteristics similar to cocaine, and 49 bags with a chemical powder in with the characteristics of the drug known as crystal. As the operation was finishing, without a shot being fired, the agents of the PIC were approached by a man who was identified as Rigoberto "N", 30 years of age,who intended to bribe the PIC agents into setting "El Zavala" free. After receiving a negative reply from the agents, Rigoberto "N" launched threats against the agents and corporation, and was arrested for attempting to bribe officers and threatening them; "El Zavala" was put at the disposition of the Public Ministry to be charged with crimes against health in respect to drug dealing. 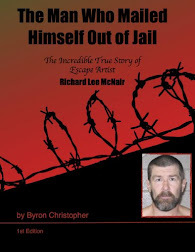 Yay, let’s hope they don’t let him out ! IMPUNITY, IMMUNITY & RELEASE to massacre and murder more. Gotta love Mexico. Funny, in the US it would be million dollar bond and facing 25 to life. In Mexico, slap on the wrist and release. O I love that,getting arrested for bribery when the cop said no and getting mouthy with the threats landed the other 1 in jail!